Apart from the kidnapping and murder, the convicts had even resorted to theft to support their lavish lifestyle. Accused of Yug murder case. Lust for quick money and to make it big overnight led the convicts kidnap four-year-old Yug Gupta and subsequent brutal torture and murder of the child in Shimla in Himachal Pradesh in June 2014. Apart from the kidnapping and murder, the convicts, Chander Sharma, Tejinder Pal Singh and Vikrant Bakshi (aged 25, 26 and 19 years respectively at the time of commission of crime) had even resorted to theft to support their lavish lifestyle. And it was the investigations into the theft case in August 2016 that had led to the cracking of Yug murder case which was otherwise being considered as blind murder case. The trio were arrested in the case but were out on bail when the cops came to know about Chander Sharma’s unique number which was seized in theft case and it proved to be catalyst. When the cops checked IMEI number of Sharma and his accomplices’ phones, it was found to different than to the ones, the police had tracked earlier when they were questioned by the police on suspicion. The CID officials who were investigating the case then, matched the location of their seized phones at the time of incident and it matched with scene of crime, resulting in cracking of the case. Further, the accused knew about the financial condition of Yug’s father Vinod Gupta and the crime was committed with cool mind and with prior deliberations. It was further established that there was no prior enmity between convicts and Yug’s family to prove that the crime was committed under the spur of moment and fit of rage. 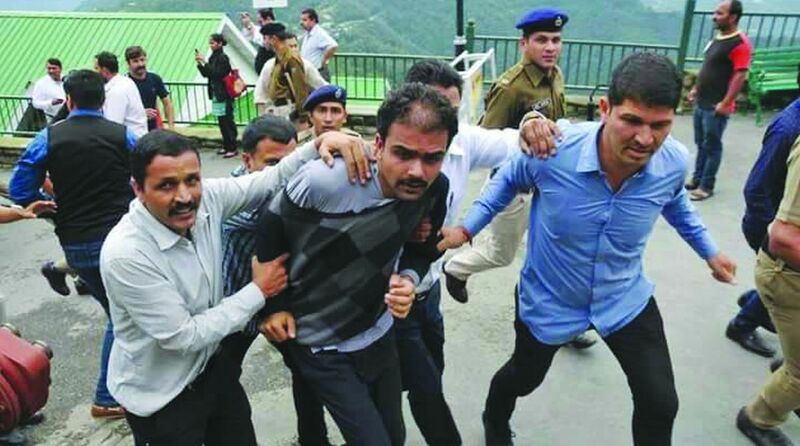 “The trio used to live a lavish lifestyle and Chander used to flaunt his fake Identity Card of International Human Rights Commission (IHRC) openly to intimidate anyone who used to question his wayward behaviour,” R S Parmar, Shimla District Attorney said. Parmar said Chander had even planned to spend ransom money without raising suspicion as days before the incident, he used to tell people that he would soon move to New York as he will get appointment from IHRC. And this tendency had become one of the grounds that prompted the court to award them death penalty and categorise it as the ‘rarest of the rare’ crime. Even the court in the judgement had observed, ‘Such type of tendency is liable to be curbed with iron hand’. The other ground for capital punishment was breaching the social trust as Chander who kidnapped the child, was a familiar face for Yug being his neighbourer and Tejinder too was his neighbour. Yug was so small so he could not himself free from the convicts. In the video clips retrieved from Vikrant’s mobile, the convicts had recorded the video clips and in the background, the music is clearly audible. “This fact shows the fact that how depraved the minds of the convicts were. They had killed Yug in a systematic way. The crimes committed by the convicts were not under any compulsion, but in a well planned manner,” the court ruled.